If you are looking for perfect software that can help you stay entertained at home Kodi is the way to go. Kodi for Windows makes the right app that helps you enjoy your media with least effort. The app offers lots of features that help you make the most of your music and videos. Besides, this tool is rock solid which makes it a top choice of users around the world. With the help of Kodi, you will get a chance to enjoy your favorite movies and also TV. 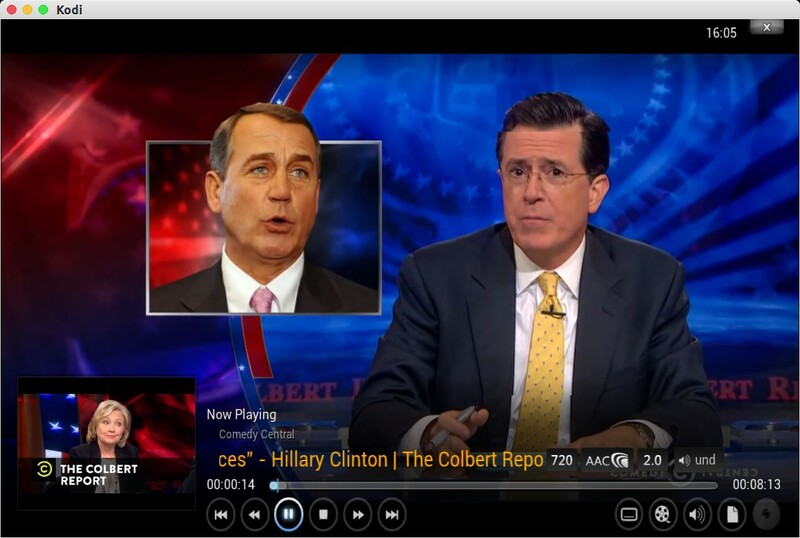 This free media center app is perfect for users with diverse entertainment needs. So download Kodi for Windows and enter a whole new world of entertainment now! Kodi is packed with endless features. You can also manage your audio collection besides to having lots of features at your disposal to give it a personal touch. Thanks to thousands of free plugins that make the software even more desirable. One of the best things about this app is that it offers support for various media. So you do not have to worry if you have to watch a movie or a TV show. You can also listen to your favorite music in your own style with the help of this tool. The program also offers network video streams, as well as offers, supports for all types of remote control. Another great thing about Kodi is that it has pre-built features that complement all video and audio codecs. Thus it works for all users. This is another reason for the ever-growing popularity of this handy tool. With this wonderful app, you also get features such as hardware video acceleration. It means that you can enjoy seamless playback. Anyone with a home cinema must get this tool. Kodi for Windows comes with other exciting features as well. For example, you can also enjoy a gallery of your image library using this tool. So for those who are interested in the extra bit, this app offers a great option. With this and much more, Kodi for Windows makes a great choice for home entertainment for free. So download and experience entertainment in an all new way now! A perfect choice of software for your home media center. This freeware full screen video player is rock solid and stable. It is supported by a huge community of users and gets better with every new release. Watch movies and TV manage your audio collection get access to infinite features provided by thousands of free plugins. Kodi plays all kinds of media content including network video streams and supports all kinds of remote control. Kodi comes pre-built with all required video and audio codecs that work perfectly together. Hardware video acceleration guarantees smooth playback and returns magic into the world of your home cinema.